Greg Mentzer is outfitter and chief guide for Montana River Guides. He's been a fisherman for over 40 years and a specialist in fly fishing Montana trout waters since 1978, logging thousands of days on Montana rivers, streams and lakes. He is a licensed Montana fishing outfitter and guide, licensed Coast Guard Captain and a Federation of Fly Fishers certified fly casting instructor. Since 1985, he has owned and operated Montana River Guides, a fly fishing guide service, based in Craig, Montana during the summer. Greg frequently teaches private fly casting lessons and or many years taught a fly fishing school in Wilmington, Delaware, "Introduction to Fly Fishing for Trout and Smallmouth Bass." 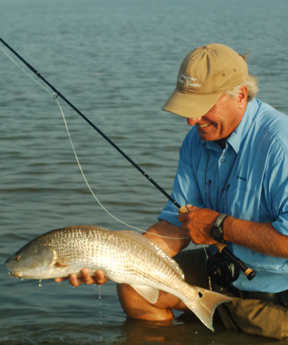 He is often an invited speakers for fishing clubs and organizations in the mid-Atlantic area and their photography has appeared in several fishing magazines and books. Greg is a former I.G.F.A. world record holder. Greg has been an active member and supporter of the Fishing Outfitter’s Association of Montana, Trout Unlimited and the Federation of Fly Fishers. He has served as president of the Delaware State Chapter of Trout Unlimited and chairman of the Mid-Atlantic Council of Trout Unlimited. He has written and co-authored several proposals receiving funding from the Environmental Protection Agency and National Trout Unlimited to assess and improve stream habitat for trout. Greg has also worked for Trout Habitat Specialists in Bozeman, Montana helping to determine trout populations in a tributary of the Yellowstone River. He is also a certified Outdoor Educator, having completed field experiences in wilderness living, mountaineering and outdoor leadership through the University of Utah and the National Outdoor Leadership School in Lander, Wyoming.